1. Ecoreach s.r.l., with headquarters in Ancona, P. IVA 02536220425, Ecoreach s.r.l. sells and the Buyer acquires a distance sales contract, through the internet, the products selected and ordered by the Buyer at the time available. 2.The service is active for purchases to be delivered exclusively in Italy. 3.After ordering, Ecoreach s.r.l. confirms to the Purchaser that the order has been registered by him by means of a message sent to the e-mail address indicated by the Buyer himself. 4.The contract is concluded and is binding on both parties when, once the purchase order confirmation is sent to Buyer, the Buyer has put by bank transfer to Ecoreach s.r.l. the amount due. In the event of unforeseeable depletion of stock in stock due to excess demand or other causes, Ecoreach s.r.l. undertakes to promptly notify the Buyer of the unavailability of the Product and to fully refund the sums paid. 5.Ecoreach s.r.l. reserves the right not to accept incomplete and/or not duly completed purchase orders. 1.The Buyer undertakes, once the online shopping procedure has been completed, to provide for the printing and/or retention of these General Terms and Conditions, which he will accept as the obligatory step in the purchase and printing of the specifications of the product being purchased. This in order to fully fulfill the condition of Articles 52 and 53 of Legislative Decree 206/05. 2.Buyer is strictly prohibited from entering false and/or invented data into the registration process necessary to enable him to execute this sale agreement and related communications. The master data and the e-mail also have to correspond solely to your personal data and not to those of third parties. 3.Buyer declares to be of age. 1.Ecoreach s.r.l. it undertakes to deliver to the Buyer, at the place indicated by them and by courier, the products selected and ordered by the Buyer. 2.Delivery will take place within 5 working days, from the date of receipt of the bank transfer by Ecoreach s.r.l. 1.In the event that the Purchaser finds any damage to the packaging or the non-correspondence of the number of packages he/she shall immediately (i) place a written control reserve on the courier delivery proof or (ii) refuse to accept the damaged neck writing a the pen the reason on the consignment note that the courier requires to sign on receipt of the delivery. The Buyer who has accepted the check on the neck and subsequently found a damage to the product must within two working days of the delivery have to report the damage by sending a registered letter to Ecoreach srl at Corso Stamira, 61 – 60122 Ancona. The Purchaser must also specify, in addition to the reason for the complaint, the purchase order number and tax documentation. 2.In the event that the Buyer finds damage to the product that is not visible from the outside or the lack of correspondence of the number of products received, it must report the damage within 2 working days of delivery, by sending a registered letter to Ecoreach srl at Corso Stamira, 61 – 60122 Ancona. The Purchaser must also specify, in addition to the reason for the complaint, the purchase order number and tax documentation. 3.If the Buyer does not act in the manner and in the terms indicated in paragraphs 1 and 2 of this Article, he will lose the right to repay or redeem. 4.Following the complaint lodged by the Buyer, Ecoreach s.r.l. will replace the damaged product. In the event that, for whatever reason, Ecoreach s.r.l. it is not able to replace the product, it may at its own discretion pay back the full amount paid or its replacement with a product of the same or higher quality. 1.The products sold are covered by the conventional manufacturer’s guarantee and, for end-users only, the 24-month legal guarantee for defects of conformity pursuant to art. 128 ss. d.lgs. n. 206/2005. 2.The guarantee covers only the repair or replacement of unusable or inefficient items for manufacturing or producing defects in the authorized service center of the manufacturer. The guarantee does not cover consumable maintenance and calibration operations mentioned in the user manual supplied with the equipment. The guarantee is void if the appliance has been tampered with by unauthorized personnel if the failures have been determined by negligence or bad use of the Buyer, damage, dropping, transport, impact, falls, humidity, leakage of liquid from the batteries, use of consumables that do not meet the specifications of the manufacturer of the appliance or other causes which do not depend on manufacturing or production defects. 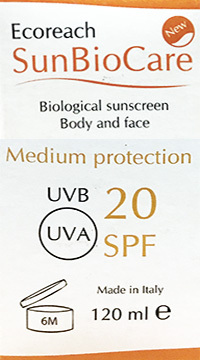 3.The legal guarantee of 24 months is reserved to the Consumer natural person acting for purposes unrelated to business or professional activity and applies to products that present a lack of conformity, provided that the product is used correctly and in accordance with its intended use and what is stated in the attached technical documentation. In the event of a failure of conformity, Ecoreach s.r.l. will arrange for the product to be withdrawn at the domicile indicated by Buyer in the order and to restore the conformity of the product by repairing/replacing or reducing the price until the contract is terminated. If, following an intervention by an Authorized Service Center, the defect does not result in a defect in compliance, Buyer will be charged any costs of verification and repair required by the Authorized Assistance, as well as shipping costs incurred by the seller. 4.If, for any reason, Ecoreach s.r.l. it was not able to provide a customer with a warranty product (repaired or replaced) Ecoreach s.r.l. it may at its own discretion pay back the full amount paid or its replacement with a product of the same or higher quality. 5.In cases where the application of the guarantees provides for the return of the product, the goods must be returned by the Buyer in the original packaging, complete with all parts (including packaging and any documentation and ancillary equipment: manuals, cables, etc .). 6.Ecoreach s.r.l. it will never be burdened with any charges or damages caused by any delay in repairing it due to third parties. 1.The final consumer purchaser has the right to withdraw from this contract without any penalty and without any obligation to state reasons, a penalty of decadence, within 10 working days from the day of receipt of the products. 2.The right of withdrawal shall be exercised by the Purchaser by sending a written communication addressed to Ecoreach s.r.l. at Corso Stamira, 61 – 60122 Ancona, by letter registered with receipt. The notice must state the order number of the purchase, the intention to withdraw from the purchase and the product or products for which the right of withdrawal is to be exercised; the Purchaser must also enclose a copy of an identity document, a copy of the purchase tax documentation, indicate both a telephone number on which he may be contacted, and the bank details of the current account upon which he will receive the repayment of the amount paid. 3.The communication may be sent within the time limit referred to in art. 6.1. also by telegram, fax, e-mail, provided that it is confirmed by registered letter with acknowledgement of receipt within the next 48 hours. 4.Upon receipt of the notice of withdrawal by registered letter with acknowledgement of receipt, Ecoreach s.r.l will communicate to the Purchaser, via telephone, the address at which the dispatch of the products to be returned and the authorization for the return of the products themselves. The Buyer must send the product carefully packaged in its original packaging, complete with everything originally contained, to the address stated. Shipment by the Buyer shall be effected via Corriere within 10 working days from the communication of Ecoreach s.r.l. The shipment, up to the receipt by Ecoreach s.r.l, will be under the responsibility and risk of the Buyer. Upon receipt of the products, Ecoreach s.r.l will verify its integrity and refund to Buyer the amount of the purchased product. 5.The costs incurred by Buyer for the return of the products to Ecoreach s.r.l in the event of the exercise of the right of withdrawal shall be borne by the Buyer. 6.The integrity of the goods to be returned is essential to the exercise of the right of withdrawal. 7.In the event that the right of withdrawal is exercised by Buyer in accordance with the provisions of this Article, Ecoreach srl will reimburse the sums paid by Buyer, excluding the costs of returning the products, within 30 days from the date of receipt of the notice of the withdrawal itself. 1.Buyer will pay Ecoreach s.r.l for purchased products the price indicated in the online catalog at the time the Buyer himself made the order. This price will be expressed in Euro and will be inclusive of VAT. 2.The costs of dispatch of the products, where provided, at the Buyer’s expense, shall be applied according to the prices indicated in the relevant section published within the website www.ecoreach.it, which the Buyer has seen before making the ‘order. 1.The Buyer will pay to Ecoreach s.r.l, as a contribution to the shipping costs, the fixed amount of € 5,90 (five / 90 euros). 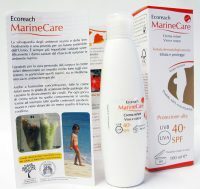 For orders over € 100.00 (100/00 euros), the Buyer is exempt from shipping charges which will be borne by Ecoreach s.r.l. 1.Any promotions offered by Ecoreach s.r.l and the offer of any free products are valid until the stock of the products and the purchase limits indicated on the website www.ecoreach.it. 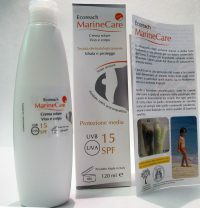 Promotional products can be delivered in promotional packages other than those published on www.ecoreach.com. 2.No replacement or rendering is possible with respect to any products received free of charge by Buyer. 1.If Ecoreach s.r.l fails to deliver the products within the time limit specified in art. 3, the Buyer has the right to withdraw from the contract by communicating this will by sending a registered letter to Ecoreach s.r.l. at the Corso Stamira, 61- 60122 Ancona, indicating the purchase order number, tax documentation and bank coordinates for the full refund of the sums paid. 2.Ecoreach s.r.l assumes no liability for any service charge due to force majeure of any kind or nature if it fails to comply with the terms agreed upon. 3.Are causes of force majeure, by way of example and not exhaustive, accidents, explosions, fires, strikes and/or locks, earthquakes, floods and other similar events, as well as measures of the Public Authority, strike of its employees or carriers of such which Ecoreach srl uses, as well as any other circumstance that is outside the control of the latter. 4.Notwithstanding the provisions of Art. 8 of the U.E. 97/7 and Art. 56 D. Lgs. 206/2005, Ecoreach s.r.l assumes no responsibility for fraudulent use by third parties of credit card data provided by Buyer. 2.The payment will be inclusive of costs for the shipping fee, if applicable, to Buyer’s responsibility, according to the terms of the offer published within the site www.ecoreach.it. 3.Ecoreach s.r.l will send the invoice by ordinary mail to the address indicated in the order by the Buyer. 4.For the issue of the tax document, the instructions given by the Buyer on the order will be faithful. No change will be possible after the tax document has been issued. For this purpose, the Buyer undertakes to carefully check the data entered at the time of order, as these will be used for accounting records. 1.Obligations taken by the Buyer under art. 2 above (Purchaser’s Obligations), as well as the guarantee of the good end of the payment to be made by the Buyer, are essential, so that, by express agreement, the Buyer’s failure to fulfill one of these obligations will result in the termination of the contract right under art.1456 CC, without the need for a judicial ruling, without prejudice to the right of Ecoreach s.r.l. to take legal action to compensate for further damage. 1.Ecoreach s.r.l reserves the right to change these General Conditions at any time by publishing the updated version at www.ecoreach.com. 2.Any new terms will be effective for purchases made after the change being made. 1.This contract is governed by the Italian law. These General Terms and Conditions, as far as not expressly provided for therein, are contained in Legislative Decree 206/05. 1.Any dispute concerning the application, execution or interpretation of this contract concluded online through the website www.ecoreach.it shall be submitted to the Italian court. 2. In the case of disputes arising between the Parties in relation to this contract, the court of the place of residence or domicile of the Buyer shall be competent if they are located in the territory of the Italian State. If the residence or domicile of the Buyer is not located in the territory of the Italian State, the Forum of Ancona is competent.